ACCELERATING EDUCATION: HORIZONTAL MOTION - EXERSICE. 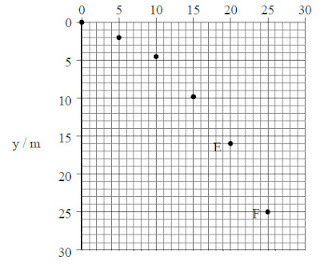 below plots the horizontal (x) and vertical (y) positions of the projectile every 0.5 seconds. 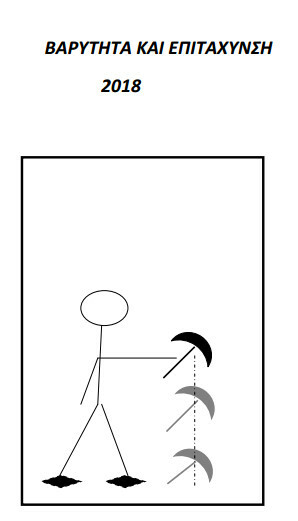 (a) Determine the initial velocity with which the projectile was launched. on the motion of the projectile? (c) Calculate the value of the acceleration. of the velocity at the point F.
(e) Determine the vertical component and the total value of the velocity of the projectile at the point F.
f) What will happen if the atmosphere had significant effect on the motion? 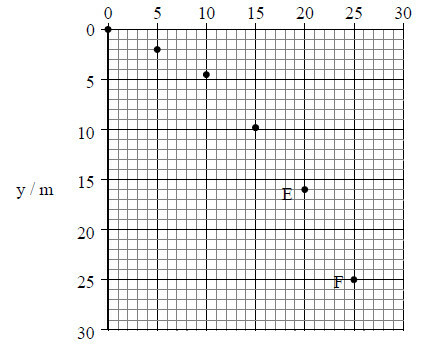 positions of this projectile for time intervals of 0.5 s.
Alexis Zamanis 2 Οκτωβρίου 2013 - 9:13 π.μ. ACCELERATING EDUCATION 3 Οκτωβρίου 2013 - 1:52 μ.μ. f. The range will be less, and the total time of flight will be bigger.